My three-year-old loves his iPad. He implores me to take it down from the high shelf where it’s stored with the desperate thirst of a man who’s been wandering the desert. It’s one of the few carrots I can use to compel him to do the things three-year-olds are loathe to do: put on shoes; put on a coat; put on pants that don’t have an elastic waist (I get that one). I don’t feel too guilty about this because there are some excellent educational apps out there: he is thrilled by Elmo’s tireless repetition of letter sounds and getting instant feedback on the accuracy of his counting. But there are also apps he begs for that are heavy on the engagement and light on the learning. For example, did you know there is an app that lets you make virtual cupcakes? This is where I draw the line. The iPad has its role in our house, but enabling fake cupcake baking ain’t it. I want him to measure ingredients, mix and pour, press his nose up to the warm oven window. There is no virtual substitute for this. When it comes to blended learning you don’t need me to extol the merits; I am preaching to the proverbial choir here. But, like baking cupcakes, there are some things that just can’t be sufficiently experienced online. That’s one reason why Highlander Institute and The Learning Accelerator host the annual Blended & Personalized Learning Conference each year in Providence, Rhode Island. There is something visceral about being in the same room with 1,000 educators who are all trying to accomplish the same thing: to create a more personalized, engaging, and meaningful education for our students. Listen in on group problem solving among students in a blended classroom simulation. See the flicker of excitement in a colleague’s eyes as she tinkers with robots in our EdUnderground. Laugh and brainstorm with coworkers who you never have enough time to talk to during the school day. Sit down and get one-on-one support with your specific problem of practice with one of Highlander’s experienced Fuse Fellows in our Practice Playground. Feel the electric giddiness of talking shop and catching up with friends new and old at the Welcome Party (hosted this year at Free Play, where you can relive your teenage arcade dreams). We have squeezed high-quality programming into every nook and cranny of the three-day conference. It begins at noon on Thursday, April 4th with open houses at partner organizations all over the city of Providence. Conference attendees are invited downtown to visit and learn about many of the non-profits, schools, and community organizations that contribute to the personalized-learning ecosystem in Rhode Island, including the RI Museum of Science and Art, New Urban Arts, the Providence Public Library, EduLeaders of Color RI, and more. That afternoon, we’ll host the EdtechRI Pitchfest at the beautiful Pavilion at Grace, where edtech startups will pitch their products and seek feedback from educators in the hopes of qualifying for Saturday’s Shark Tank grand prize. On Friday, participants can choose one of five full-day workshops. Options include site visits to seven different Rhode Island schools, the Acceleration through Networks track for advanced practitioners, a Culturally Responsive Curriculum design day, an introduction to the Pathways to Personalization framework for school change, and a spotlight on the Providence Public School District, where district representatives will tell their story of becoming a learning organization and pivoting toward personalized learning. The Saturday Symposium is the main event, with over 50 sessions facilitated by thoughtful practitioners from all over the country, three live classroom simulations, a vendor expo with dozens of curated edtech products, and more. While the content is innovative, the format is decidedly old school: let’s all get together in the same place at the same time to share what we know and what we’re still trying to figure out. After all, it’s really cool to meet one of your Twitter heroes in real life, but it’s even cooler to grab a cup of coffee—or a cupcake—with that person and dive into a discussion of the issues that keep you both up at night. We think you’ll agree that there is no substitute for these kinds of authentic connections and we hope you’ll join us in April. Laura Jackson is the Program Director at the Highlander Institute in Providence, RI. Share your thoughts and insights with Laura by tweeting @l_jack2. A central aim of Highlander Institute is to support equity, access, and opportunity for all students through the use of blended and personalized learning models. We believe these are powerful levers for engaging students in their education and better preparing them for future success. However, these approaches are challenging to implement and, in many cases, have fallen short of their promise for underserved students, especially at the high school level. In January 2017, Highlander Institute partnered with seven Rhode Island high schools for an 18-month redesign effort supported by the Nellie Mae Education Foundation. This project was an opportunity to learn about what it takes to redesign the high school experience and what is possible when students are empowered as partners in the design process. A summary of the project and our learning about designing an Integrated Learning System and pivoting toward student-centered learning can be found in the full report, which is available by request. However, we have distilled the larger report into five key takeaways that apply to any redesign team leading a high school change effort. #1 Redesign is a team sport. The Fuse Architect design teams showed us the power of a heterogenous stakeholder group coming together to craft a shared vision for teaching and learning and working in an ongoing manner to bring that vision to life. The feedback on the design team approach reinforced our belief that bringing multiple voices to the table and collaborating around design problems should serve as standard practice for districts seeking to move toward student-centered learning. The Fuse Architect project was our first experience with formally involving students in the planning of classroom and school redesign. We found their perspectives to be invaluable and are now encouraging all of our partners to include students on their design teams, when possible (based on scheduling) and appropriate (based on age of students). To facilitate this process, we recommend completing our Student Voice Calibration Exercise, which outlines a series of steps Design Team members should take to ensure that student voice is an integral part of their design process. In addition, we recommend that Design Teams complete a full or half-day student shadow to build understanding of and empathy for the student experience. We found this Student Shadow Protocol, developed by IDEO, to be a helpful resource for organizing, conducting, and debriefing the shadow. #2 You say tomato, I say tomahto. Any education reform or redesign effort, particularly one that utilizes educational technology, is bound to be awash in jargon. Therefore, it is important for the design team to define terms and make sure that stakeholders are aligned in their understanding and use of these terms. In one of the Fuse Architect redesign projects, we observed a lack of common language around ILS functions, which made it difficult for different stakeholder groups to communicate clearly about their expectations and experiences. To address this, we developed a list of common terminology related to integrated learning systems, which can be accessed here. While this list is specific to the redesign focus of Fuse Architect, we recommend that design teams use this as a jumping off point and build upon it to develop a custom list of educational terminology relevant to their redesign efforts. For example, it may be necessary to invest time parsing out the variations between blended learning, personalized learning, student-centered learning, deeper learning, and project-based learning. It is likely that redesign team stakeholders have different understandings of what these terms mean and how they relate to their vision for the school, so it’s worth investing time up front to gain clarity and use the terms with precision. #3 Boil the sap down to syrup. It takes about forty parts maple sap to make one part maple syrup. That’s a lot of boiling; but the results are sweet. We believe all redesign teams need a clear and concise vision statement to define and guide their work. Without it, the Design Team’s work will likely lead to confusion about everything from how to get started to how to measure success. Conversely, a clear vision provides a north star for team members to refer back to throughout the redesign process. We recommend that teams begin with a loose brainstorming discussion about what they hope to see in classrooms at the end of the redesign effort. In addition, it is equally important and informative to discuss what team members do not want to see. This can be a wide-ranging discussion in which Design Team members are encouraged to speak freely and share unpolished thoughts. The idea is to get all of their ideas, aspirations, and fears on the table. From there, it is more efficient to have a few members of the larger team take the raw “sap” from the brainstorm and boil it down to the proverbial syrup. This typically takes the form of a statement that ranges from a few sentences to a few paragraphs. The more descriptive and less jargony the draft vision statement is, the better. The draft can then be shared back with the larger team for input. This drafting process typically requires a few rounds of revision until a statement emerges that satisfies all design team members. Not surprisingly, in the Fuse Architect project, we observed that the design teams that crafted clear design statements at the outset were better able to leverage technical coaching supports because they used the statements as a touchstone for teachers and coaches. In addition, teams that were unable to commit sufficient time to the visioning process or that did not fully invest in the process struggled when it came time to operationalize their vision. #4 How do you eat an elephant? Slowly, and one bite at a time. Use the planning year to be extremely intentional about the shifts in practice you want to see in classrooms and identify how they are aligned to the current student experience and other building or district level initiatives. When structural or systemic issues arise, invite those in power to come to the meetings to work through them. Schedule specific benchmark dates to review progress and reflect on the pilot implementation. The following benchmark tool was created by one design team, with our support, to guide their first six months of the pilot. Set your team up for success by anticipating and budgeting for the teacher planning time, personalized learning time (in and out of school) for students, data review days, and student-teacher meetings that will be necessary for successful pilots. Additionally, teams can sometimes be overzealous in their aspirations. While we applaud and encourage “moonshot thinking”, we caution teams against taking on too much too quickly, which can lead to burnout and disappointment. When we began the Fuse Architect project, we believed that the best way to support design teams with the adoption of a new model for student-centered learning was to begin with a heavy dose of design, followed by a heavy dose of technology vetting. We were approaching the challenge with a subtractive method: school teams would start with a full-stack solution and then customize it over time, much as a sculptor begins with a block of stone and slowly chips away to refine it into a shape. What we found is that an additive process is more appropriate, where one piece is added, studied, and tweaked, and then another is added, studied, and tweaked and so on until the whole emerges. We now believe that the most successful approach involves a small amount of upfront design work, followed by a heavy dose of change management support to clarify and refine the vision. Implementation must be supported with a series of small hacks and multiple iterations. Only then can a design team arrive at a new vision for teaching and learning that is sticky enough to scale to all teachers and classrooms. #5 You need multiple measures to tell a multidimensional story. As an organization, Highlander Institute has always believed that measuring impact in a classroom requires the use of multiple measures. However, prior to Fuse Architect we did not have an internal framework for organizing the variety of instruments that we and our partner districts were using to measure the efficacy of student-centered learning pilots. While we were familiar with the concept of using a family of measures for continuous improvement (as outlined in the table below), we had not used it to structure our data collection. Process Explanation: Process measures are used to capture the extent to which behavior is changing or not changing. Outcome Explanation: Outcome measures are used to quantify how outcomes are changing (if at all), presumably as a result of the intervention. Balance Explanation: Balance measures are meant to capture how people (typically teachers and students) feel about an intervention, including any unintentional consequences. Based on our experience with this project, we recommend all redesign project teams proactively outline the process, outcome, and balance measures that they’ll use to gauge the impact of pilot implementations. Coupled with a schedule for data collection, this becomes a measurement plan that teams can reasonably enact and sustain. After all, a data collection plan that is too burdensome will be neglected or abandoned altogether. Furthermore, educators know in their bones that their work is too complex and multifaceted to be captured by a single measure. Therefore, both to capture the impact of redesign efforts and to maintain the trust of participating teachers, measurement plans must incorporate diverse and complementary instruments that, when used in tandem, tell a sufficiently rich story of change. To request a copy of the full Fuse Architect report “Fuse Architect: Designing High Schools for Integrated Learning Systems and Student-Centered Learning”, please contact info@highlanderinstitute.org. teaching and learning across the region. Director of Finance in accounting/bookkeeping duties. Highlander Institute is a non-profit organization located in Providence, RI. Our vision is an equitable, just education system that meets the needs of all students as it prepares them for success in our complex, rapidly changing world. Highlander Institute supports classrooms, schools, district leaders, and state education agencies in reimagining how students learn, how learning is measured, and what skills and competencies are essential for success both in college and beyond. Committed to equity and inclusiveness in education, Highlander Institute strives to support all schools in designing competency-based, personalized learning programs that are student-centered and culturally responsive. As we continue to grow, we are committed to hiring a staff that reflects the diverse population we serve. We are looking for talented people to join us as we work to remodel our education system. If you are passionate about empowering students and leveling the playing field for all learners, we want you on our team! As an Educational Strategies Specialist (ESS), you will have the opportunity to coach classroom teachers as they deliver blended and personalized instruction. As a coach, you will model effective instructional strategies, observe teachers in their practice, and provide written and verbal feedback. In addition to your role as coach, you will develop relationships with school stakeholders as the liaison between Highlander Institute and the schools you support. This work includes collaborating with school and district-level personnel to develop clear and actionable implementation plans at the start of the school year. Throughout the year, the ESS will document and regularly report on implementation progress. Our team of Educational Strategies Specialists are hardworking, mission-driven individuals at the forefront of the Institute’s mission to transform schools. As an ESS, you will become part of a positive, affirming culture where growth mindset and collaboration drive each of us every day. The 6th annual EdCampRI is swiftly approaching! Join a dynamic group of educators at Alger Hall on Rhode Island College’s campus on Saturday, May 5 from 8:00AM-1:30PM for a great day of learning and sharing. All are welcome to be a part of the conversation, whether you’re an EdCamp veteran or newbie. Register today for a free ticket! EdCampRI is brought to you by a planning committee made up of representatives from Rhode Island College, school districts across our state, Highlander Institute, and the Tortolani family. This year’s EdCampRI event is bittersweet, to say the least. Last year, Alan Tortolani, the founder of ABCYa and co-founder of EdCampRI passed away unexpectedly. He was passionate about the power of teachers in the Ocean State and truly loved EdCampRI and its ability to bring educators together. In honor of Alan, we are announcing the Alan Tortolani Scholarship for Teachers to recognize an incredible Rhode Island educator, with plans to make this an annual tradition. The winner of this award will receive a scholarship to attend the ISTE Conference in Chicago in June 2018. The scholarship includes conference registration, hotel, and flight. Please apply for this tremendous opportunity and share this link with other educators who might be interested. We will announce the winner at EdCampRI 2018 on Saturday, May 5. We think continuing to support and champion teacher leaders is one of the best ways to honor Alan. Curious about the EdCamp format? Check out the Edcamp Foundation website here. Breakfast and lunch will be provided by Rhode Island College. Please bring a smartphone, laptop, or other electronic device if possible. For more details about the event, visit edcampri.org and review the Rhode Island Campus map. At Highlander, I will be researching two areas of development within the agency. 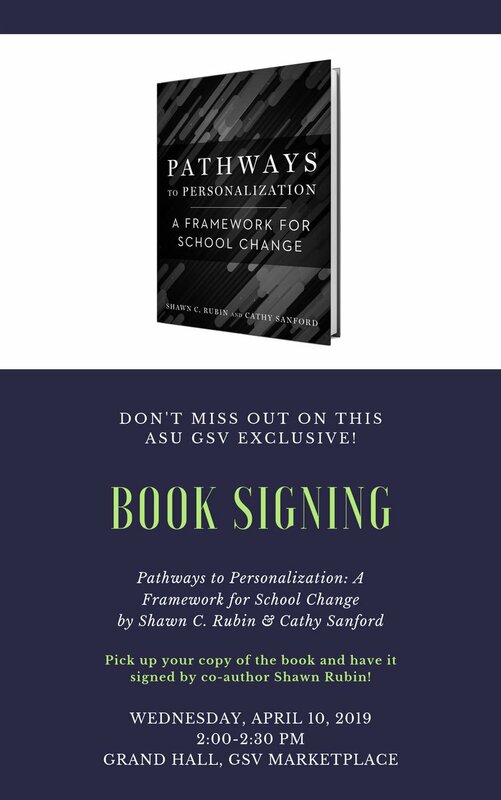 The first will be the strategies and tools we use to support teachers in blended and personalized learning implementation through classroom walkthroughs and observations. My research into the online platform we use and the techniques employed to deliver the best feedback for teachers will be centered around the goal of optimizing the performance of the agency in substantively supporting teachers’ practice. I will also conduct research around the Rhode Island process to access alternative teacher certification pathways. While my research questions around this topic are evolving the more I explore, they consider fundamentally how Highlander Institute can best position itself as a facilitator of quality, non-traditional preparation options to diversify and bolster the RI teacher force. Prior to joining Highlander, I completed a traditional teacher preparation program in Rhode Island and taught Grade 6 Geography and History Enrichment in a Massachusetts urban public school. During this time, the quality and diversity of the teacher preparation portfolio became a research interest of mine. I also worked in a semi-administrative capacity in the summer programming office at BMC Durfee High School, where I helped oversee a collection of grant-funded OST programs targeting different subgroups of the Fall River student population, including early learners, secondary students, students in credit recovery, and students transitioning to employment in the community. In my new role at Highlander, I most look forward to tracking the translation of research to practice regarding my contributions to the agency’s knowledge growth. I am most excited about watching how brainstorming, research, and thought partnerships within the agency and our partners can lead to substantive support for teachers, and tangible, positive outcomes for all of the students they reach. What’s your self professed superpower? I would say listening is my “superpower,” both because it has allowed me to access the ways my colleagues process and reproduce information, and has made me a better teammate and thought partner. I also have absolute pitch, which is a rare listening skill that allows you differentiate and identify music notes categorically, like colors. Let us all remember to take History into account in our daily decision-making. In doing this, we come to realize that History is much more about now than it is about then. Also, I’m your go-to-guy for tips for guitar-players and obscure facts. 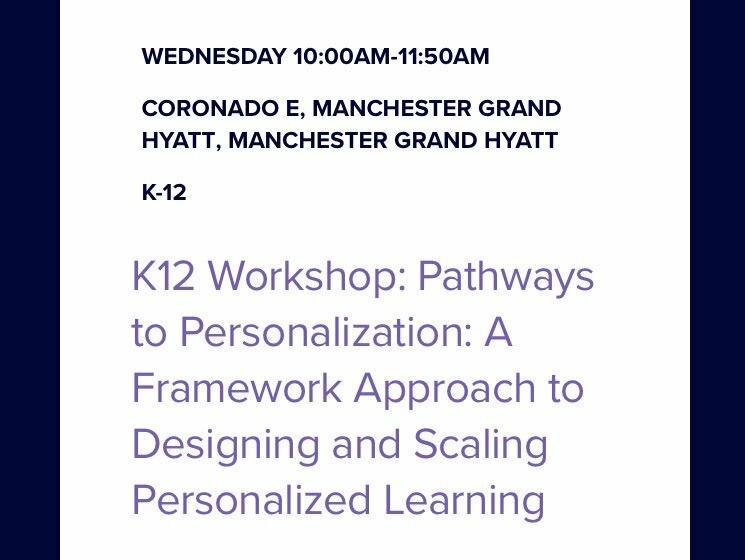 I will support Kara’s work with the Walkthrough tool and Cathy’s production of the Blended and Personalized Learning Conference. For my work with Kara, I will be helping to find and aggregate resources that support teachers’ professional development in the areas specified by the Walkthrough tool and in working with Cathy, I will contribute to the BPLC website, assist in project management, and collect data on emerging technologies. For the past three years, I taught 7th grade English Language Arts and Just Words at a school in the Bay Area for students with language-based learning disabilities, specifically Dyslexia. Our technology coordinator sought out the best emerging technologies for our students, and she ignited my passion for the possibilities presented by Ed Tech. Before working with that school, I taught English and History at public high school that worked within the education-option framework, and had a partnership with the Gilder-Lehrman Institute. While there, I merged traditional educational frameworks with emerging tech to support holistic learning for students from all over Queens. I am excited to immerse myself in Highlander’s thoughtful, innovative culture, to contribute to the research on and resources available for tech in education, and to learn all that I can from each opportunity. Using every word available to say what I mean to say, except for the most succinct one. If you have any questions for me, don’t be afraid to ask!